The SEAMEO Regional Centre for Archaeology and Fine Arts (SEAMEO SPAFA) has, on 2 December 2013, made a donation toward the victims of the recent Typhoon Haiyan in the Philippines by transmitting the amount of US$ 2,000 to the bank account of the National Disaster Risk Reduction and Management Center (NDRRMC) of the Philippines. 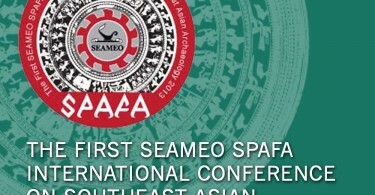 The donation resulted from a SEAMEO SPAFA collection campaign during its conference on cultural heritage and disaster risk reduction, held on 18–20 November 2013, at Windsor Suites Hotel, Bangkok. Dr. M.R. 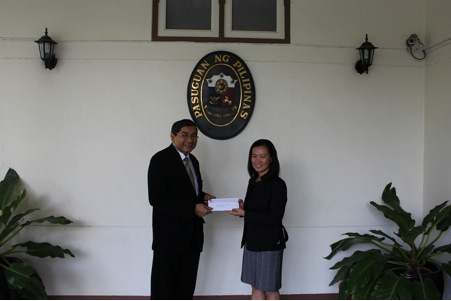 Rujaya Abhakorn, SEAMEO SPAFA Centre Director, handed over a letter informing the Embassy of the Republic of the Philippines in Thailand of the donation for the victims of Typhoon Haiyan (made and sent to NDRMMC).